Start with one View of basic self-worth — apply liberally and marinate continuously. Add high quality principles. Cook’s note: I suggest generosity, patience, compassion, kindness, and intelligence. Be careful not to cross-contaminate ingredients with doubt. Stir well, then let rest — this allows confidence to arise. Infuse essence of mixture into daily conduct, particularly situations that break the heart. 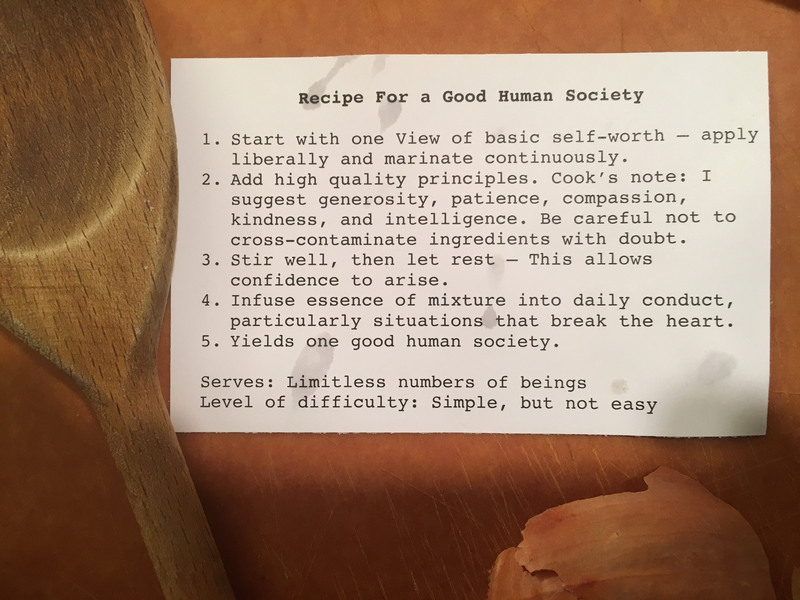 Yields one good human society. What’s a Mathematician To Do?